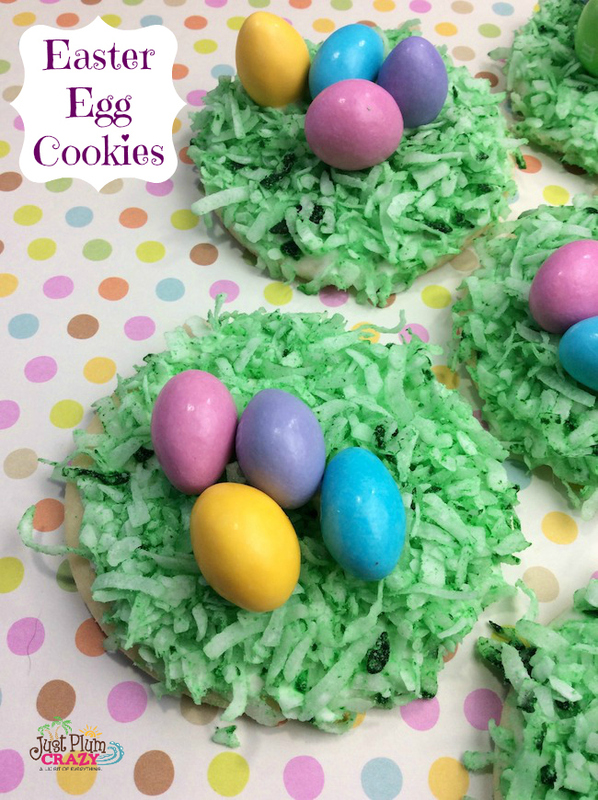 The Easter Egg Cookies Recipe is brought to you by Just Plum Crazy. With Easter less a month away, the time will fly by and it will be here before we know it. Today we have Easter Egg Cookies recipe that are not only cute but also tasty. 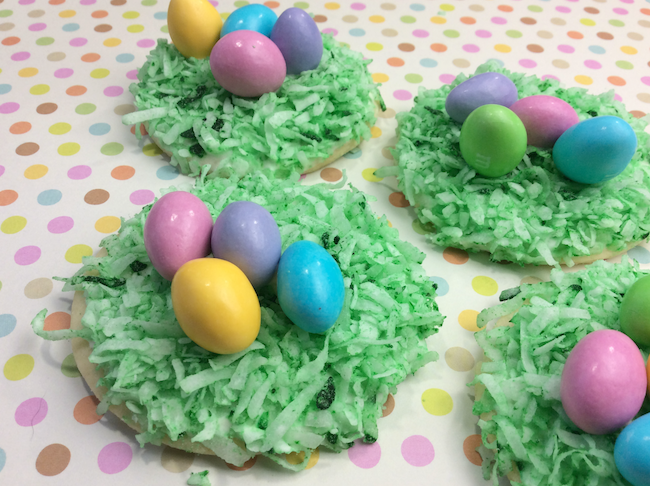 Welcome to day 6 of our 12 Days of Easter recipes and ideas. 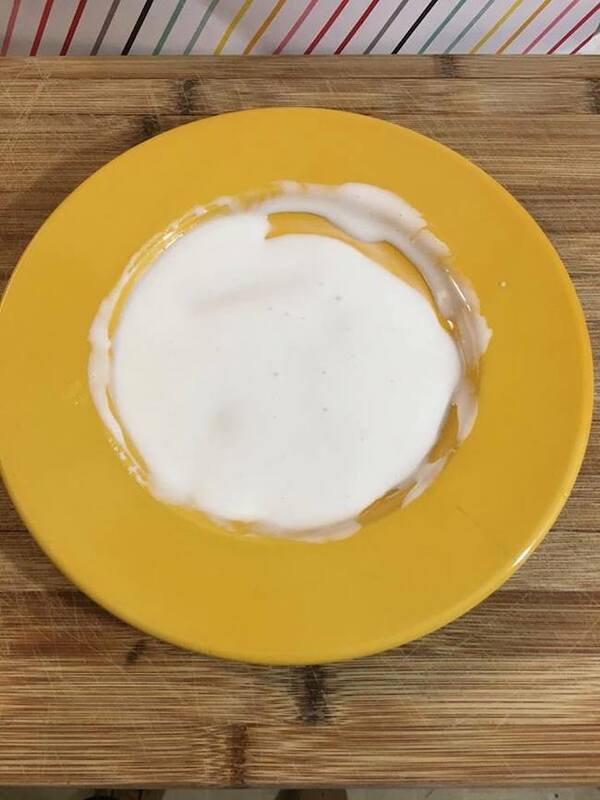 3. icing into a bowl or onto a plate that has a dip and rim to it so that the icing doesn’t spill out. 1. 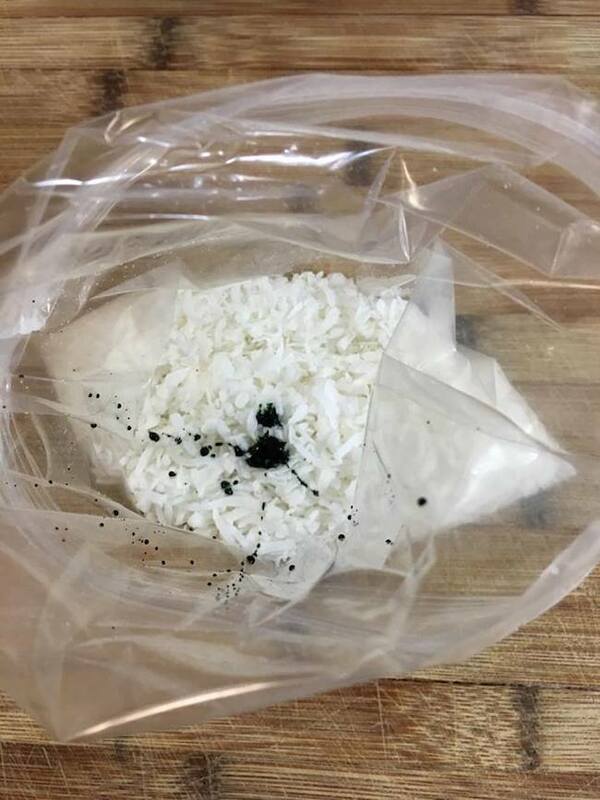 Combine the coconut and food coloring in the ziplock bag and shake until coconut is dyed green. 2. Add more food coloring to get the color you want. 3. Pour out the dyed coconut onto a plate. 1. Take cooled cookie and dip the top part face down in the icing. 2. Pull the cookie up so that access icing can drip off. 3. 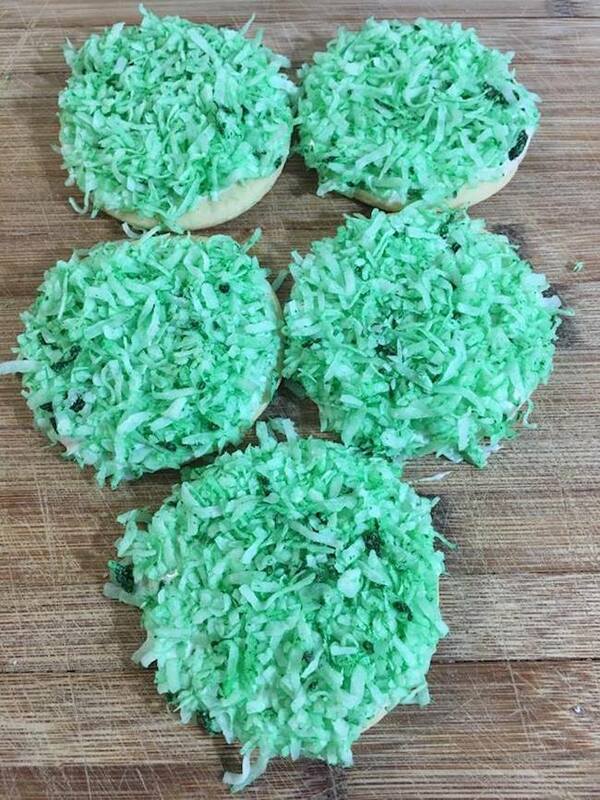 Dip the cookie into the coconut. 4. Tilt the cookie back over and place the cookie, bottom down, onto a cookie sheet. 5. 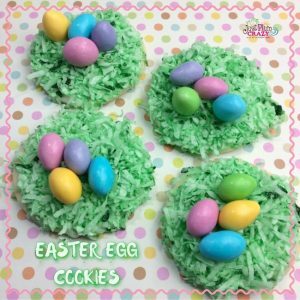 Take a tooth pick and dip it into the icing and then scrap off the icing onto the cookie and then place the chocolate egg onto the icing dot. 6. Repeat process with all cookies until all done. 7. Let sit for 30 minutes before enjoying! 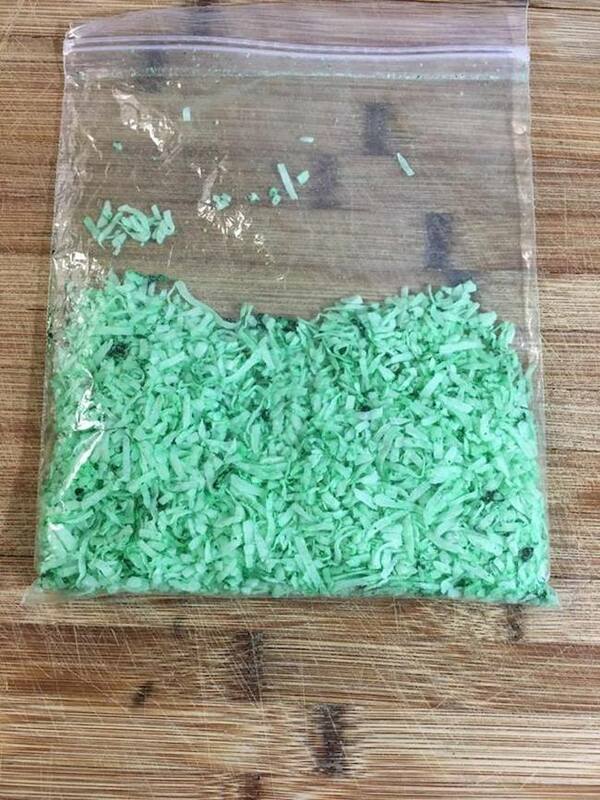 Combine the coconut and food coloring in the ziplock bag and shake until coconut is dyed green. Add more food coloring to get the color you want. Pour out the dyed coconut onto a plate. Take cooled cookie and dip the top part face down in the icing. 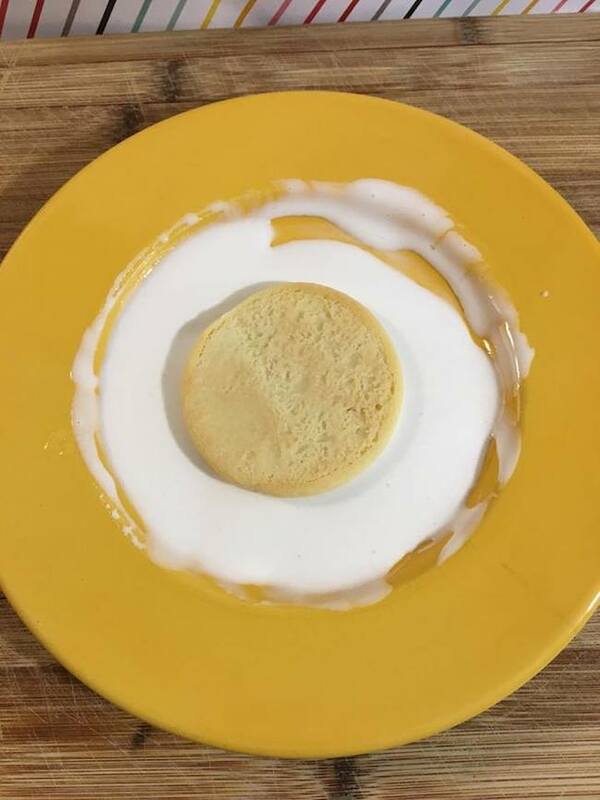 Pull the cookie up so that access icing can drip off. 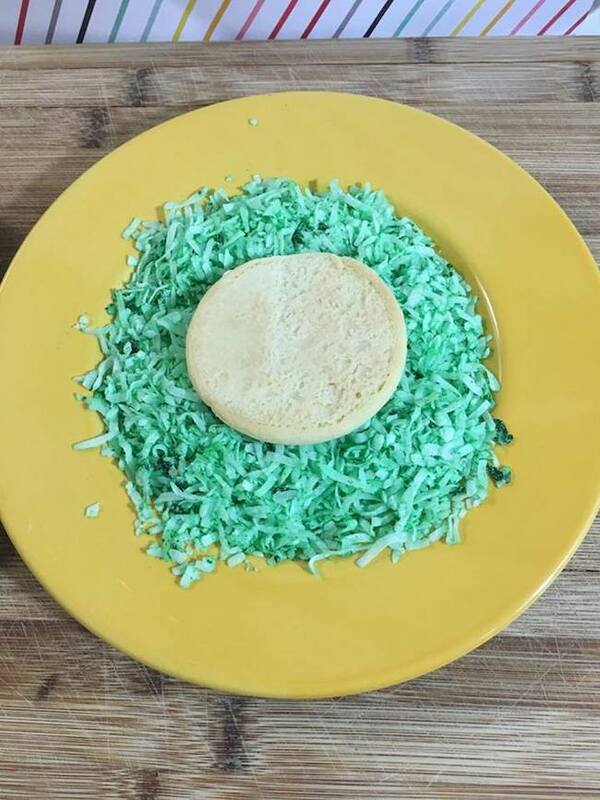 Dip the cookie into the coconut. Tilt the cookie back over and place the cookie, bottom down, onto a cookie sheet. 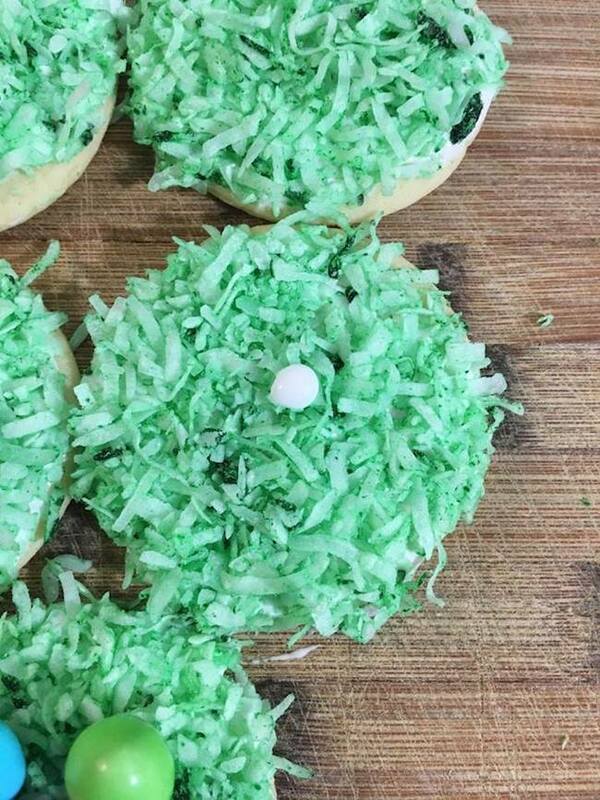 Take a tooth pick and dip it into the icing and then scrap off the icing onto the cookie and then place the chocolate egg onto the icing dot. Repeat process with all cookies until all done. We got you covered for all things Easter. 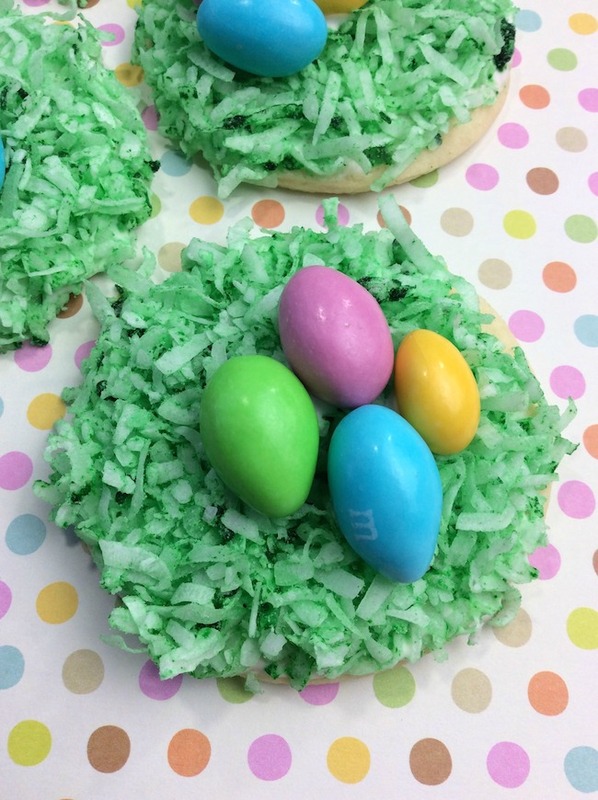 Check out all the yummy treats and clever crafts from my bloggin buddies!